Preorders for MAIN GAUCHE and ZWEIHÄNDER Grim & Perilous RPG end on December 24th! Pre-orders now open at BackerKit for MAIN GAUCHE & ZWEIHÄNDER! We have officially opened up our pre-order store! 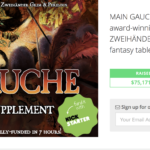 Here, you can get preorder your own copy of MAIN GAUCHE in either offset or print-on-demand format, along with the second print edition of ZWEIHÄNDER. We’re also releasing a limited number of special edition leatherette books, along with plenty of add-ons! Check it out here – and don’t delay, as the pre-order store will be closing soon! 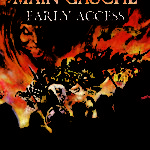 MAIN GAUCHE Early Access PDF now available at DriveThruRPG!